Maximum strength* relief of periodic water weight gain, bloating & puffiness, water retention and related fatigue. We know that women can gain 5-10 pounds of water weight before and during their period. That’s about a gallon of extra water you have to carry around! 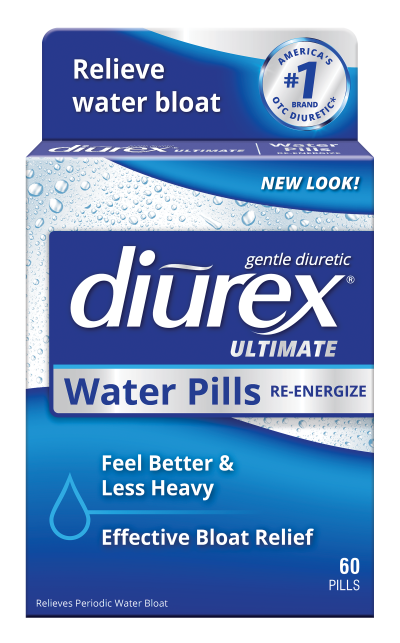 Now you can drop the water weight with Maximum-Strength* DIUREX ULTRA diuretic water pills. 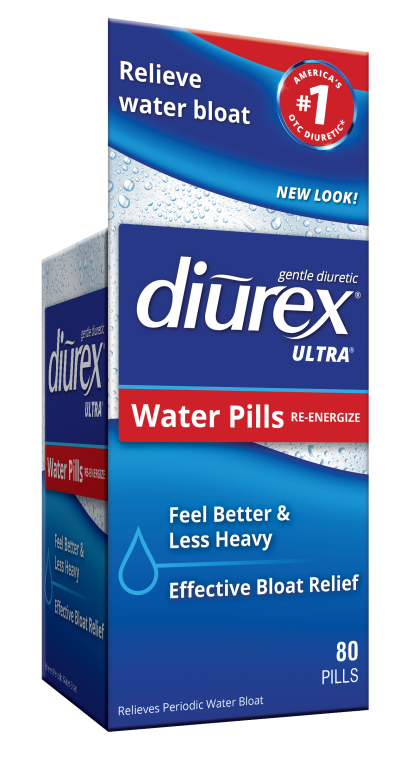 DIUREX ULTRA provides gentle, safe, and effective†† relief of periodic bloating, fatigue, water retention and puffiness. DIUREX is the best-selling brand of over-the-counter diuretic water pills in the U.S† for one reason: because they work! What is the active ingredient in DIUREX ULTRA? DIUREX ULTRA contains 100 mg of Caffeine Anhydrous in each pill. What is the purpose of DIUREX ULTRA? DIUREX ULTRA is for the relief of symptoms associated with the premenstrual and menstrual periods including: temporary water weight gain, bloat, swelling, full feeling and fatigue. What is the dosage for DIUREX ULTRA? The dosage for DIUREX ULTRA is one (1) pill (100 mg) or two (2) pills (200 mg maximum strength) every 3 to 4 hours while symptoms persist, not to exceed 8 pills in a 24 hour period. Be sure to read all product package label Directions, Uses and Warnings and follow them carefully. Does DIUREX ULTRA cause increased urination? Because DIUREX ULTRA contains a diuretic as its active ingredient, increased urination is common during use. 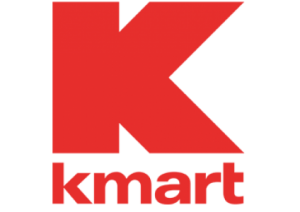 As indicated on the product package labeling, it is important to drink 6 to 8 glasses of water daily while using this product. How long can DIUREX ULTRA be used? DIUREX ULTRA is for the relief of symptoms associated with the premenstrual and menstrual periods including: temporary water weight gain, bloat, swelling, full feeling and fatigue. As indicated on the product package labeling, you should stop use and speak with a doctor if symptoms last for more than 10 consecutive days. Can DIUREX ULTRA be taken with other medication(s)? Does DIUREX ULTRA help you lose weight? DIUREX ULTRA is for the relief of symptoms associated with the premenstrual and menstrual periods including: temporary water weight gain, bloat, swelling, full feeling and fatigue; it is not intended to be used for dietary weight loss. 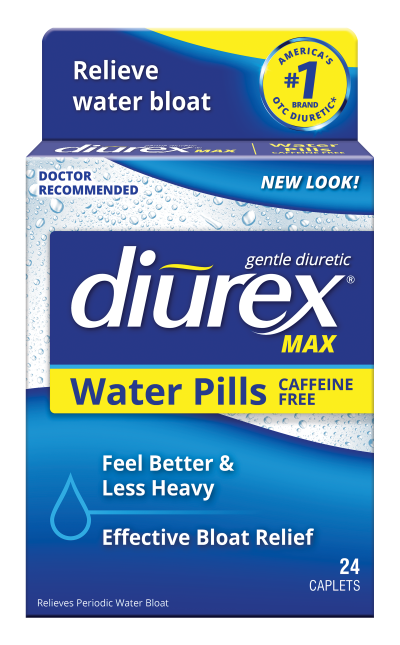 We recommend speaking with your doctor or pharmacist before using DIUREX for any purpose other than that indicated on the product package labeling and following his or her advice. 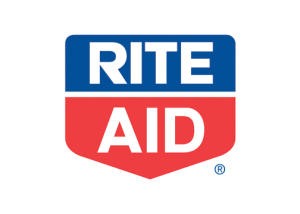 Does DIUREX ULTRA help relieve swelling in the arms/hands/legs/feet (edema)? 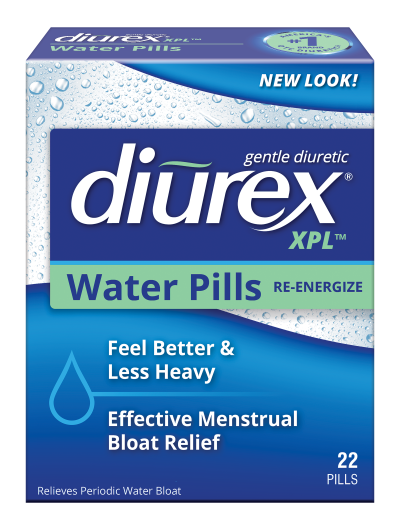 DIUREX ULTRA is for the relief of symptoms associated with the premenstrual and menstrual periods including: temporary water weight gain, bloat, swelling, full feeling and fatigue; it is not intended to be used as a treatment for any type of non-menstrual related swelling. We recommend speaking with your doctor or pharmacist before using DIUREX for any purpose other than that indicated on the product package labeling and following his or her advice.